My enormous thanks to Frances Gough at Hodder Headline and Bookbridgr for the opportunity to read a pre-publication copy of ‘My Mother’s Secret’. The Sheehans are a big, complicated Irish family whose lives are about to be disrupted beyond recognition when Roisin, Davey and Steffie organise a surprise party for their parents’ fortieth wedding anniversary. The secrets revealed and events that unfold at the party mean none of their lives will ever be the same again. 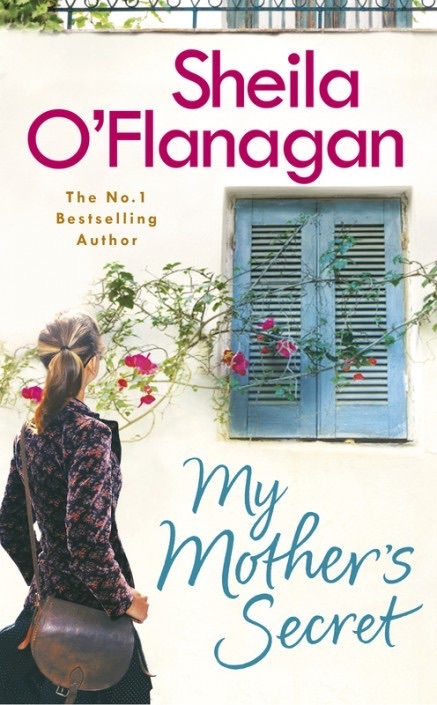 I’ve always enjoyed Sheila O’Flanagan’s novels, but ‘My Mother’s Secret’ has to rank as one of her best. It is typically written with warmth and understanding of what makes us human in all our frailties. With several twists along the way, the plot is satisfactorily resolved without being trite or hackneyed and I found myself cheering for each character and hoping life would work out for them. You’ll have to read it yourself to see who comes off best! What I find so engaging about ‘My Mother’s Secret’ is that every character is human and realistic so that they begin to feel like people I really know and care about. I found myself thinking about them when I wasn’t reading about them. It really does feel as if you’re part of the family taking part in the story with them. I can’t recommend ‘My Mother’s Secret’ highly enough for those who love a heartwarming story with plenty of action, a brilliant range of characters and a jolly good cry along the way. It will definitely be a best seller. Don’t think I’ve read any of hers but this sounds great! Many thanks for finding the time to drop by and comment. It’s much appreciated.